Brush geeks take brush washing pretty seriously. I usually devote an afternoon for that, making sure my brushes are well-pampered as well as clean. As I've mentioned in the post linked above, I'm not particularly fussy about the detergents I use, as long as they're mild enough. 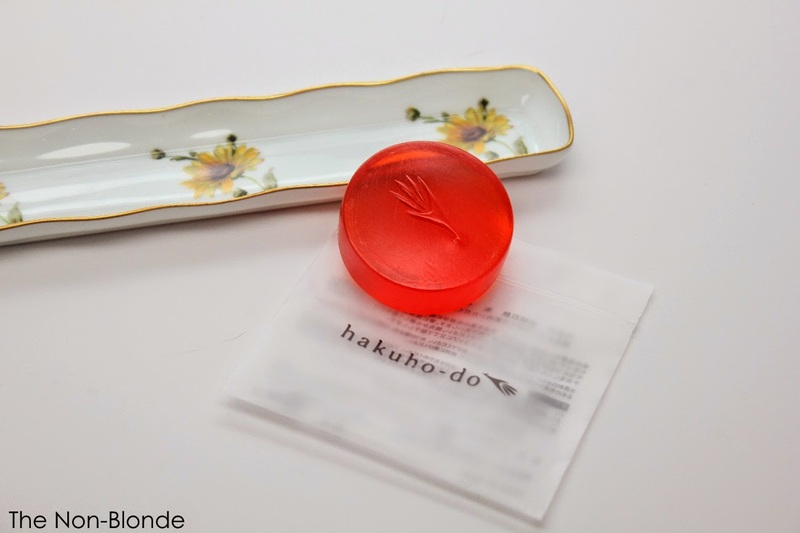 But now Hakuhodo has their own brush soap (orange, of course), which is supposed to be the best way to wash their brushes. Basically, it's a gentle glycerin soap (ingredients: water, sucrose, glycerin, ethanol, sorbitol, HEDTS-3Na, Etidronic acid, BHT, pecan shell extract, paprika pigment), which should tell you what we've known all along: a gentle soap is the best way to wash makeup brushes. Hakuhodo Brush Soap does a good and effective job on natural hair brushes that have been used with powder products, and to a certain extent also with synthetic brushes and light liquid makeup. I still find that I need a stronger product (such as an oil face cleanser) to break down cream foundation or pigmented cream blush from synthetic and even white goat hair brushes. The soap dissolves slowly and doesn't fall apart. It holds well for reusing again and again. While I tend to prefer liquid soaps in pump bottles for germy reasons, I have to admit that this one looks and feels perfectly clean. I pat it dry, make sure there's no more moisture on the surface and put it back in the resealable plastic baggie, and store until the next time. 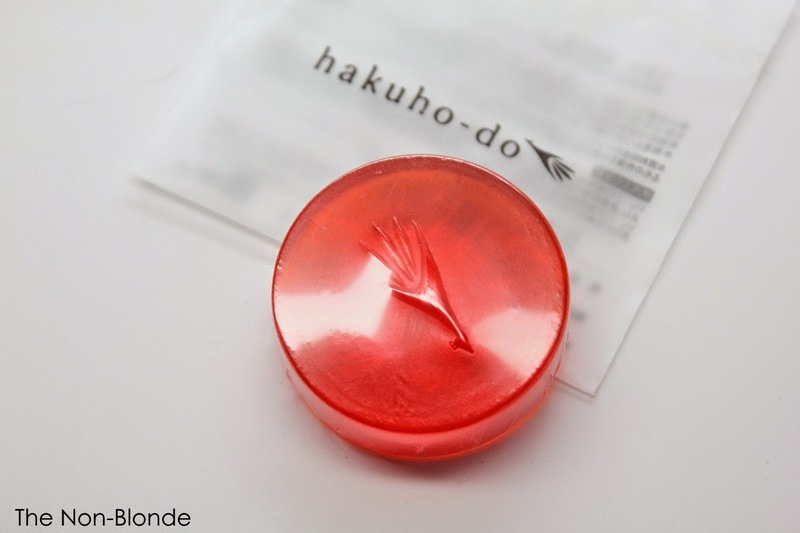 Hakuhodo Brush Soap ($8, 30g) is available from hakuhodousa.com. The product in this review was sent by PR. Be still my heart! I prefer solid soaps to wash my brushes for comodity reasons and because they last longer and this is just right up my alley! I am currently using the Make Up Store one, will have to check the ingredient list! I'm not sure about this but maybe I can find something similar. I'm glad you mentioned how you remove foundation from your synthetic brushes - I am frustrated by the foundation I can't get out from one of my favorite brushes. Oil face cleansers I do have, never thought to try them on a brush. Oh, that header image is so pretty! This sounds like a great option for people who use animal hair brushes.